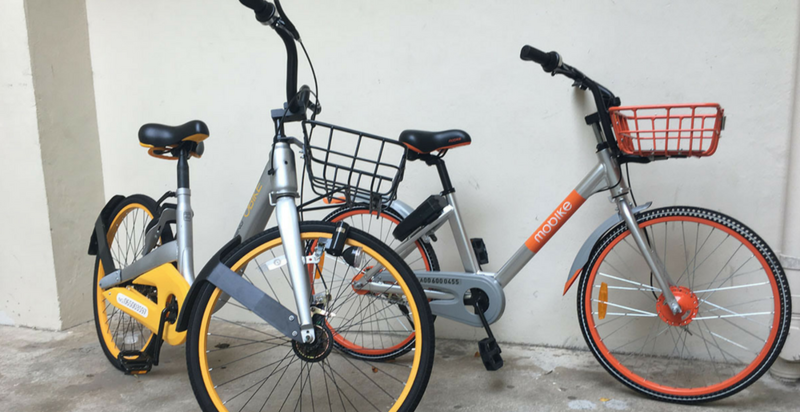 oBike & Mobike Are Duking It Out In Cyberjaya Now—But Who Are The REAL Winners? While Cyberjaya has hit its 20-year mark as a township, they are still working hard cultivate a forward-thinking community there, moving towards their ideal future through infrastructure growth and development. Since oBike‘s move as the first bike-sharing company to enter Malaysia, they’ve been expanding far and wide, even getting into a bit of a tiff with MBPJ as ofo and Mobike loom over them. All business as usual with oBike though, as ours is not the first nation where municipalities have yanked their bikes off the streets. Despite such drama, the handshake between Cyberjaya and oBike happened like peanut butter with jelly—leading to oBike rolling into Cyberjaya’s bike-friendly township in July, just three months ago. Since then, spots of yellow have been emerging in the Cyberjaya streets, in their parks, and even large compounds like MaGIC’s base of operations. And now, splashes of red are joining the landscape, with Mobike launching in Cyberjaya today. This means that competition is heating up, and there will be inevitable comparisons between the two, as well as ofo when it inevitably heads in there. To me, this marks the beginnings of a more serious fight between the three, as users now can make a more active decision of which bicycle company to share their hard-earned cash with. After all, both Mobike and oBike ask for a deposit to go with their per-hour charges. This is unlike their competitor ofo. However, what looks like a clear attempt to spice up the competition, oBike has now lowered its initial deposit price to RM69, and cutting its charges to RM0.50 for every half an hour, from RM2. And while I personally am still confused by the amount of bike-sharing players that are spreading into Malaysia, I cannot deny that dockless bicycles, a relatively recent technology to go mainstream, can bring good to us. I don’t need to tell you about our smog problem, and gridlocked highways. It doesn’t have to be bicycle-sharing, but more local acceptance towards cycling as a viable transportation method, with accompanying infrastructure to accommodate this, could mark a healthier step for us to finally pass on our crown as the most obese country in SEA. But the fact remains. I don’t see physical evidence that justifies this bullish expansion of bicycle-sharing into our region compared to, say, ride-hailing apps. These in my opinion, serve a more obvious value to Malaysians who were already heavy car users, and had their grievances with existing traditional players. In my own area, I did see one or two bicycle-sharing units sprinkled around a little further from where they were first deployed, so they are getting used more frequently now. But the gap between the supply and demand is glaringly clear. This is perhaps because bike-sharing has to both sell their product to Malaysians, and actually convince our car-loving nation to ditch our air-conditioned creature comforts to brave the open air on any bicycle at all. But if bicycle-sharing is going to succeed anywhere in Malaysia, it’s going to be Cyberjaya. After all, if a township is going to get the most success in inoculating a majority-accepted cycling culture into their citizens, it will be a young one like Cyberjaya with a still-moldable culture, and active effort into unique development ventures—at least if their infrastructure efforts grant them a higher number of migrants. So of all the townships, it makes perfect sense to us that Mobike and oBike are going to clash in Cyberjaya first. Cyberjaya’s vision does tally with theirs, to bring about a healthier citizenship. Plus, Cyberjaya has always been open about accepting new technologies, and are actively sourcing for more tech-savvy migrants into their developing smart city. Allowing two multinational companies to run their tech-based products in the city raises Cyberjaya’s image as one of the forward-thinking municipalities. With all of that being said though—we’re sorry to return to cliches—another clear beneficiary of this clash is the consumer. And if the availability of options in Cyberjaya actually helps even one more Malaysian adopt the healthier cycling culture, then power to them. I would just also really appreciate someone knowledgeable in business to enlighten me on their global expansion strategies, because I just don’t get it. We’re waiting for comments from spokespeople from both companies and will update this article once they come in.